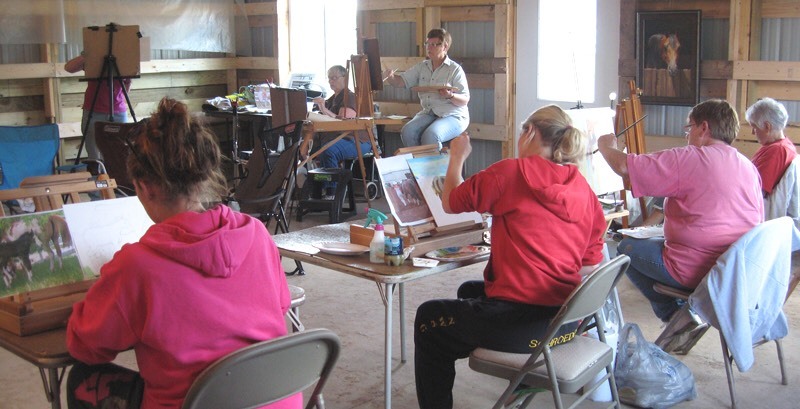 Lynn discovered that she was a teacher during her last year of instruction at The Atelier when one of the directors asked her to substitute teach at a community center art class. After she graduated, Lynn spent four years as the assistant instructor for The Atelier’s full-time program. 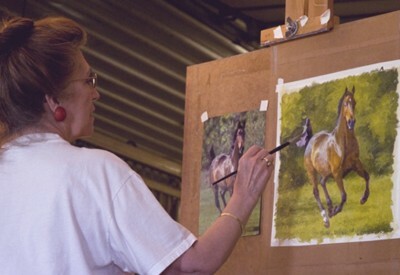 Then she taught her first equine painting workshop. She has since taught workshops from New Mexico to Virginia and continues to teach a popular figure class in The Atelier’s part-time program. 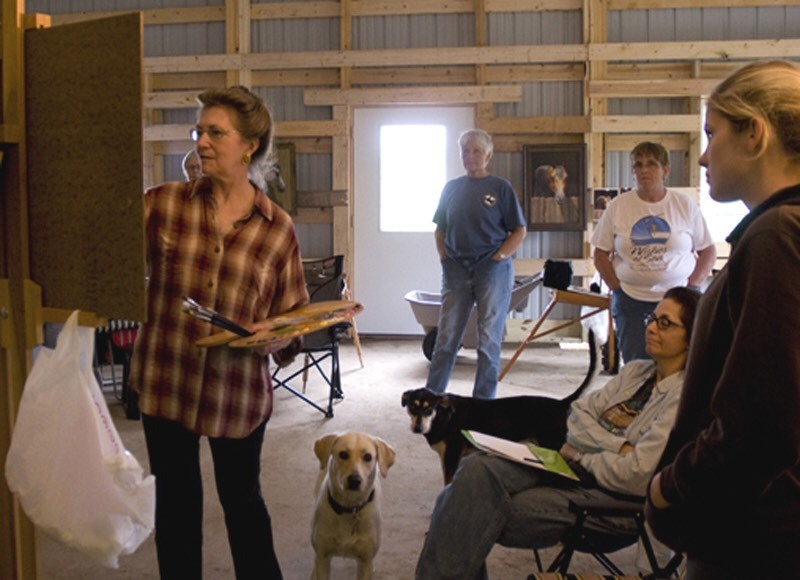 An equine workshop proceeds like a mini-Atelier with the first days spent focused on drawing and value just as beginning Atelier students work in black and white before advancing to color. 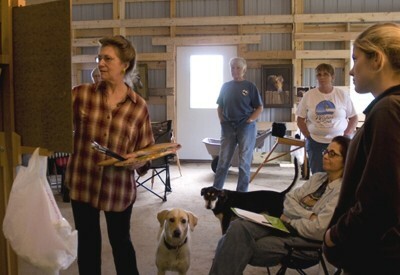 Lynn explains and demos the Old Master approaches that so benefited her own work. Some of them were complete revelations to her so be prepared to explore ways to approach picture-making that may be different than you use now. She also discusses, with examples, the benefits and dangerous pitfalls encountered when using photo reference. The camera can be invaluable for equine art but it can also lead you far astray if you’re not alert to its deceptions. Early on, students work on several short projects to try out these traditional approaches. 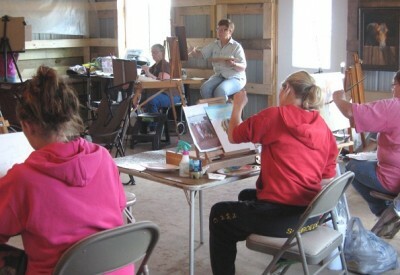 By mid-workshop, Lynn does a longer demo in color before students develop their own in-depth color compositions. Depending on student interest, Lynn may also talk about how she works with clients on commissions or how to create a painting that originates in the imagination of the artist, then is developed with the support of photo references, models and maquettes. MINNESOTA, 2019 – I had to cancel my plans for a summer workshop for 2018 due to a very unexpected health challenge. 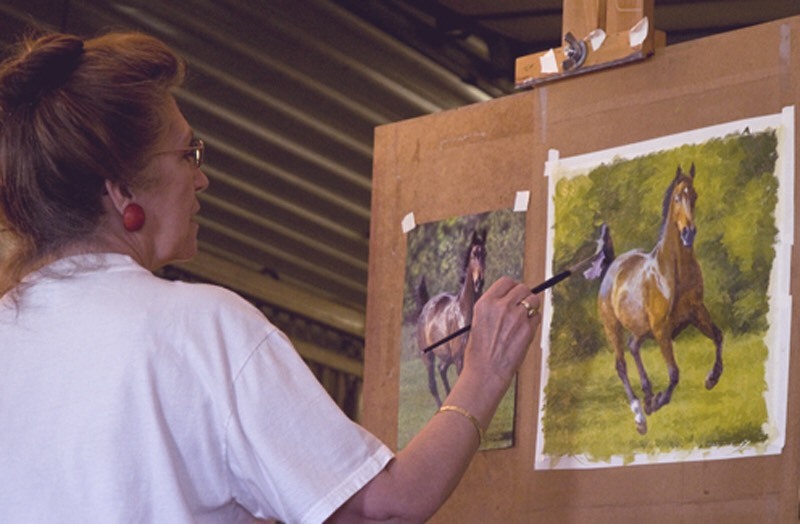 I hope to schedule a 2019 equine painting workshop, preferably back at Cedar Ridge Arabians in Jordan, Minnesota, about 50 minutes south of the Twin Cities. This is where we were privileged to hold my 2017 August workshop. Besides having plenty of space to work, there were pastures of Arabians and the Ames Percherons were just a short car ride away. I will post here as soon as I have information. As before, I expect the workshop to run five days for a cost of $450. If you’d like, contact me to be put on my workshop notification list. Thank you!